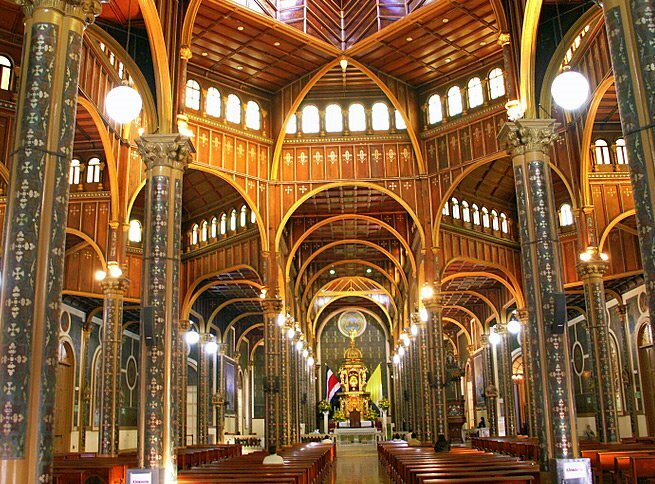 Going down to Cartago, the ancient capital of Costa Rica, make a small detour to the Basilica of Nuestra Señora de los Ángeles (Calle 16, Ave. 2/4). This holy place every year receives thousands of worshipers on a pilgrimage to give thanks to La Negrita (or Our Lady of the Angels), patron saint of Costa Rica, personified by a statue housed in a chapel in the basilica. Miracles are attributed to this statue and to the holy water of a small stream which flows in fountains below the basilica. To see your wishes fulfilled, you will travel the entire length of the nave and kneeling in prayer! The miracles leave there every year hundreds of votive offerings representing parts of the anatomy cured that can be observed behind the nave.